Bellevue's Luxury Folding Glass Windows & Doors Best of Houzz 2018! 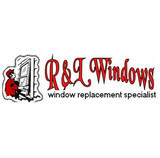 Customer Satisfaction - is # 1 That's why R & L Glass Installation has been around for a long time. When you need service in the future, we will be there! We provide installation & replace service of new and existing windows/frames and doorways for your home. Established in 1993, we have gained the experience of being able to provide nearly any style of window or door installation that you require. Browse our site to learn more about our company and how we can show you the R & L difference.However, if you don't see exactly what you're looking for here, please contact us and we will do everything we can to satisfy your needs! We use some of the highest quality manufacturers in the industry such Cascade, Plygem, CDI, Milgard, Anderson, JeldWen, Simonton, Marvin Windows & Codel Door products. Our products not only protect your home and reduce energy cost; They also make your house more stylish in the process. Now thats a" win win" situation! Sliding “barn doors” aren’t just for barns anymore. With the rise of energy-conscious consumers choosing to live in smaller, sustainable spaces, maximizing floor space is more important than ever. Sliding barn doors are excellent space-saving solutions for pantries, laundry rooms, master bathrooms, and any interior space where every square foot matters. We use real, solid wood in a variety of species and can customize door designs to be uniquely yours. Made in America. 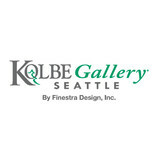 Real Sliding Hardware is a design-led manufacturer in Gig Harbor, Washington. www.realslidinghardware.com. We also specialize in swing-out wood carriage doors for garages, exterior sliding garage doors, folding garage doors, and sliding hardware. Enjoy solid wood quality and old world building methods with our carriage house doors, meticulously crafted by hand in our workshop in Washington State. Don't settle for standard - grace your home with something Real. HomeStory offers a unique door replacement service for entry, interior, closet, French, glass, wood, and pocket doors with digital measuring assuring a custom fit for each door which allows a professional paint job and easy installation with designer hardware to match. Locally owned, no contracted labor and our doors are manufactured in the Pacific Northwest. Rhuby Architectural Glass has collaborated with leading architects, designers, and their clients to create custom art glass as functional as it is beautiful. Explore the galleries to see fresh, innovative ideas for entry glass, counter and table tops, windows, wall panels, and more. Shoji Designs is a small custom shop. We build shoji screens that combine Japanese delicacy and style with the durability necessary in a Western environment. We do this by using lacquered hardwood frames and Warlon laminated papers. We work with contractors and homeowners. A high degree of customer involvement is encouraged. With a century of experience, product innovation and industry-leading design, Simpson Door Company has become the trusted source for impeccably crafted exterior and interior wood doors. Simpson's comprehensive line of doors includes hundreds of standard options from panel to French to decorative entry doors with matching sidelights and transoms. Available in a variety of wood species, sizes and glass options, Simpson provides customers with the door they desire, whether it is a standard design or a one-of-a-kind custom door. To find out more about Simpson doors or to find a dealer in your area, visit simpsondoor.com or call (800)-SIMPSON. *Authorized Dealer of Andersen Windows & Doors* Windows, Doors & More was founded on the principle that "no one window or door is right for everybody." Our trained sales consultants help you find just the right product for your project and budget. The company was started in 1993 when we opened our first store in the historic Ballard community of Seattle. In 2010 we expanded to the Seattle Design District neighborhood of "Georgetown" with convenient access on and off I-5. We recognize that clients benefit from experiencing a wide selection from a variety of local and national brands. When your project is complete, we want you to be absolutely thrilled with your windows and doors. Call, visit our award winning showroom, or fill out a special request form, and let us know how we can serve you. Manufacturers of custom curved and bent glass and architectural glass. windows glass ballustrading curved glass Glasshape, established in 1986, is a leading innovator, designer and manufacturer of curved, toughened, laminated and digital ceramic print specialty glass. Family owned and based in Auckland, New Zealand, Glasshape’s philosophy of growth through innovation, ingenuity and customer service sees it deliver best-in-class glazing solutions in a variety of categories, with notable success in marine, architectural (residential and commercial), cyclonic, high security and heavy machinery projects. Consistently investing in technology and capacity to meet the increasing demands from architects, designers and their clients, Glasshape designs and supplies certified curved and flat glass, either monolithic or laminated, for almost any setting. With Australian offices in Perth, Brisbane and Melbourne, and headquartered in Auckland, New Zealand, Glasshape provides customer centric solutions with an international reach. Our brands are lauded and respected for the quality and craftsmanship they represent and include DurashieldMarine marine grade glass, TemperShield curved toughened glass, AmmoShield and ArmourShield attack resistant glass, StormShield cyclone resistant glass and VisionInk digitally printed ceramic inks. We specialize in Interior Door and Closet Door replacements, and Closet Organizers. We digitally measure your door jamb, and have a door trimmed to fit the opening, without disturbing the jamb. We normally can do an entire house worth of doors in one day or less, saving the home owner time and money, as there is little to no labor as compared to traditional door replacement. raumplus North America is the North American distributor of raumplus interior sliding door and fixed partition systems. The raumplus sliding door systems offer German engineered and German made high quality hardware. Our sliding doors, fixed partitions and bi-fold systems allow flexibility of space and with our innovative concealed hardware, a streamline aesthetic. Our systems are slender in depth and have minimal frame profiles and tracks. The raumplus systems are demountable and can be combined in a multitude of combinations. The raumplus systems are assembled in New Jersey, dramatically decreasing lead times and pricing. We offer our systems as fully assembled with raumplus panels or as frame kits, allowing you to use your own panels. raumplus International is a family owned and operated business. We have been providing high quality interior sliding door systems since 1986. Our sliding and fixed partition systems are available in over 70 countries throughout the world, including Western and Eastern Europe, Asia, Africa, South America, and North America. We cater to both commercial and residential projects and are known for our outstanding customer service. Services Provided Custom made sliding, folding and fixed partitions built to your dimensions. We offer our product as fully assembled or as frame kits, allowing you to use your own panel material. Karcher Design is the leading designer of stainless steel door and window hardware in Germany. Our products can be found on many of the highest profile building projects in Europe. With our new North American sales office and warehouse in Seattle, we are looking to partner with firms such as MG2 to bring high-quality architectural products to buildings in the US and Canada – and beyond. Hardware should not be an afterthought. The right door hardware makes a statement and performs its function smoothly and consistently. Our design capabilities allow for customization at reasonable prices. Our engineering expertise guarantees long-lasting, precision products. Our manufacturing capacity delivers products within specific timeframes. Our customer service assures that projects are completed with complete satisfaction. Karcher Design – We are door hardware. One of the basic services we offer our customers is to rekey house locks, which is highly recommended especially when you need to secure your home, but don’t have a lot of money to buy new ones. Rekeying gives you a new pair of keys while at the same time helping reduce your out-of-pocket costs since you keep your old locks. In case you want locksmith Mercer Island WA to get your doors opened when you are facing an Office Lockout, we can handle this problem immediately and let you go back to work serving your customers or completing the proposals you have waiting for your clients. Our locksmith business is done by some of the best and well qualified techs who have amassed many years of experience. If you are locked outside your place of work, the delays you experience could cost you a lot of money in Washington. You will also suffer delays if you have an auto lockout. Let us help you though because we have a mobile service that can be at your location in a short amount of time. Moving in one house to some other or in one part of town to a new area is never easy. It often takes a whole lot of coordination and usually heavy lifting of furniture and other activities you possess. Then, you have to unpack those boxes once you arrive in your brand-new residence. In every these activities, it is possible to ignore to improve door locks, which is essential for the protection of your loved ones. If you want this service, call Locksmiths Mercer Island WA. Were delighted to help you. lockout service Mercer Island WA Any business where customers have to come quickly to and discover the things they want or even to have their problems fixed must keep its gates open. Which means that you need to be in ownership of your tips all the time and especially during business time. An office lockout can hassle your visitors, but additionally it is costly for business because you can and can lose big money if you aren't in a position to service your visitors. For an easy and secure rekey service get in touch with Locksmiths Mercer Island WA. What kind of services do Mercer Island door dealers provide? Door dealers are responsible for a variety of services, including door installation, replacement, door repair and custom door design. If you need a new door, Mercer Island, WA door dealers will help you determine what kind you need, as well as shape, color, size and more. From barn doors to French doors to front doors, these professionals can help you choose, install and maintain your door investments. Wood doors are beautiful, versatile and tend to be the most popular choice for both interior and exterior doors; they are easy to custom build, and include oak, cherry, walnut, mahogany, maple, fir and pine. Some standard wood doors have MDF cores wrapped in wood veneers, which minimizes the chances of warping as real wood expands when wet and contracts when dry. If your heart is set on a wood door but you think the Mercer Island, WA climate might cause it to warp, talk to your door professional about a furniture-grade veneered door. Aluminum doors have an insulated core and come in a variety of colors and finishes. With a baked-on enamel finish, they won’t rust or need repainting, and many come with a 20-year warranty. Next to wood they are the most expensive and have to be custom-made. A Mercer Island, WA door dealer can help you find a reputable aluminum door manufacturer. Find door dealers and installers in Mercer Island, WA on Houzz. 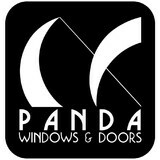 Look in the Professionals section of our website and search for Mercer Island, WA door dealers and installers. Read reviews, look at project photos and see how a pro can help with your home improvement project.